RECOVERY SERVICE FOR ANY CAR OR VAN ! ANY SIZE NO PROBLEM! Broken down, car won't start, need to get to garage or need to get home?????? 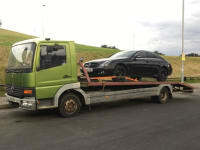 Road Recovery offers a 24/7 local or long distance recovery service at a great price !